Beyer Carpet Cleaning San Antonio is a family owned and operated business. This means we are more about the quality and less about the numbers. Most carpet cleaners in San Antonio try to push products and cleanings that you don’t need. You are just an customer with money in their minds. At Beyer Carpet Cleaning San Antonio we care about our customers and the quality of service we provide. We do not push products that you don’t need. We will suggest cleanings that would benefit the customer but if you turn that service down we will not continue to haggle you. 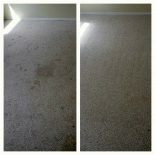 Beyer Carpet Cleaning San Antonio are professional carpet cleaners were our customers come first. We take value and care in the work we do. We want our customers to only use Beyer Carpet Cleaning San Antonio and to use us for all their cleaning needs. Carpet Cleaners in San Antonio may promise things they can’t deliver we will never do that. If we say we will do it then we will do it. We are proud of the customer service we have provided over the year and the quality of our work. Most carpet cleaners San Antonio may do well at carpet cleaning but not in other areas such as tile and grout cleaning and upholstery cleaning. Beyer Carpet Cleaning San Antonio are experts in not just carpet cleaning but also in tile and grout cleaner and upholstery cleaner. We do just as good of a job when it comes tile and grout and upholstery. We have well rounded technicians with skills and training in all areas. 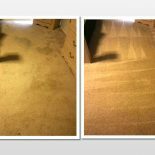 If there is something that we can’t do we will let you know up front so you are not wasting your time and money with Beyer Carpet Cleaning San Antonio. Beyer Carpet Cleaning San Antonio is here to serve our customers in and around the San Antonio area. We are proud of our work and we would be proud to have you as our customer. Call Beyer Carpet Cleaning today and skip the hassle, headaches, and pocket picking.